The hiatus is an opening in your diaphragm muscle that allows your food pipe to pass through to your stomach. A hiatal hernia happens when a portion of your stomach pushes up through the hiatus and into your chest, according to Health Services at Columbia University. This can cause a series of health problems and interfere with nerves that pass through the hiatus. Your chiropractor may suggest treatment if he suspects that you have a hiatal hernia. A hiatal hernia generally doesn't cause any symptoms, which means you may have one without ever realizing it. However, a large hernia could mimic other conditions because it causes generalized symptoms such as dull chest pains from acid reflux and shortness of breath from a diaphragmatic or lung obstruction, according to the University of Michigan Medical School. 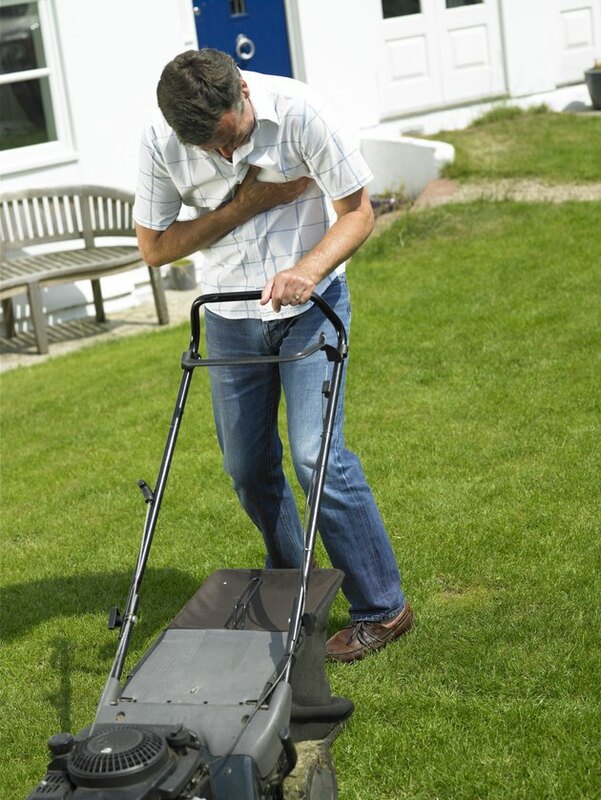 A severe hiatal hernia could also cause frequent vomiting and increase your risk of ulcers. Your vagus nerve runs from your lower brainstem down through your neck, chest, heart and lungs, then it travels down and breaks off into a web of nerves in your abdomen, according to the Cleveland Clinic. A hiatal hernia can cause irritation to your vagus nerve, which could lead to further symptoms that may not initially seem related to a hernia in your chest. For instance, you may end up with insufficent secretion or excessive secretion of stomach enzymes and stomach acid, and your stomach and intestinal muscles may not function properly. Vagus nerve irritation from a hiatal hernia could also cause heart palpitations, according to the University of Michigan Medical School. You likely won't need treatment for a hiatal hernia unless you experience symptoms such as heartburn and heart palpitations. If you suspect that you have a hiatal hernia, your first step should be to get in touch with your doctor because complications are possible. He may suggest that you control symptoms with medications such as acid neutralizers and acid reducers or blockers. He may even recommend surgery if your hernia is twisted in a manner that cuts off your blood supply or if your hernia causes severe acid reflux or severe inflammation in your esophagus, according to the Ohio State University Medical Center. Certain alternative medicine practitioners, such as chiropractors, claim that they can help cure a hiatal hernia by pushing your stomach into its natural position below your diaphragm muscle. If you seek chiropractic care for a hiatal hernia, your chiropractor may use his hands to exert pressure on your abdomen and maneuver your stomach. In the process, he could end up helping reduce the tightness and restriction on the vagus nerve pathway, according to the Ken Youngberg Therapeutic Bodyworks website. However, according to MayoClinic.com, no clinical trails of this technique have shown evidence to prove that this manipulation can cure a hiatal hernia. Your doctor or chiropractor may also suggest that you make lifestyle changes to reduce symptoms associated with a hiatal hernia. For instance, if you have frequent acid reflux, she may suggest that you avoid common triggers such as alcohol, fatty foods, spicy foods, tomato-based products and onions, according to MayoClinic.com. She may also suggest losing weight, avoiding smoking and sitting up or taking a walk after you eat meals, as well as finding ways to reduce stress.